GlowHost Review 2019: Is GlowHost a Good Hosting? GlowHost is an American web hosting company that was founded in 2002. They excel in customer support and offer a range of high-quality web hosting packages for businesses. GlowHost is an American web hosting company that was founded in 2002. They excel in customer support and offer a range of high-quality, fully transparent web hosting packages for businesses of all sizes. GlowHost’s shared hosting plans vary primarily in the number of connected domains allowed and the provision of FFmpeg support, a dedicated IP address, and their OptimumCache software, which enables faster loading times and server responsiveness. Beyond that, GlowHost divides their shared hosting plans in terms of a few “unlimited” features, the type of file storage, and the version of the SohoLaunch website builder offered. All shared hosting packages have the industry-standard cPanel installation and run on CloudLinux OS. Their Unlimited Single Domain and Unlimited Multi-Domain plans have unlimited disk space and bandwidth, but are restricted to SATA storage drives and the Basic version of the SohoLaunch website builder. These plans cater to more experienced website creators who want more leeway with their storage space and file transfer. Their Professional Hosting package is similar, but storage is increased to 20 GB and monthly bandwidth to 250 GB. These plans cater more to professionals and businesses that require greater performance and accessibility. Alternatively, customers requiring enterprise-grade hosting solutions may opt for one of their semi-dedicated, virtual dedicated, or managed dedicated server packages. If you’ve never heard of the first two terms before, the semi-dedicated servers operate much like shared hosting plans, except that each server is limited to 30 sites or fewer and therefore can achieve the maximum performance allowed by a shared hosting environment. Virtual dedicated plans are like VPS hosting plans, but deliver much greater performance, speed, and stability. GlowHost also offers managed reseller hosting packages, as well as a few uncommon services such as toll-free numbers, trustmarks and badges, hack prevention, and hack repair services. GlowHost’s plans aren’t the cheapest, but offer excellent value in each package. Smaller businesses would be well-advised to opt for either one of their Unlimited packages or their Professional Hosting packages. The latter is recommended for businesses that cannot afford to hire a professional web designer and programmer, and need to quickly launch and maintain a website. Support is available via live chat, support tickets, email, or their pre-sales forum. Their telephone hotline is open 24/7, as is their support ticket system. Alternatively, if you’d prefer to type, their live chat is highly responsive – upon initiating the chat, I was connected with an agent within 20 seconds, and the questions I had with were all answered within 10 minutes. Overall, I was very impressed with their support. onClick="trackClickout('event', 'clickout', 'Vendor Page - Visit User Reviews', 'GlowHost', this, true);"
Well, Glowhost have been an amazing host. They are quick with their responses and seem to be very reliable. All of my issues and questions were answered within a few minutes at most, and the issues themselves were quickly resolved as well. The tutorials are helpful. It's a great service. I would like to mention that Glowhost elastic sites hosting service is great! It's a lot faster than my previous shared web hosting. When my friend had problems setting up the domain name servers, the forums and support center were very helpful. Setup was fast and customer support was very helpful spending over 20 minutes with me at Live Chat. As for their pricing, it is quite reasonable, so I they meet my budget. 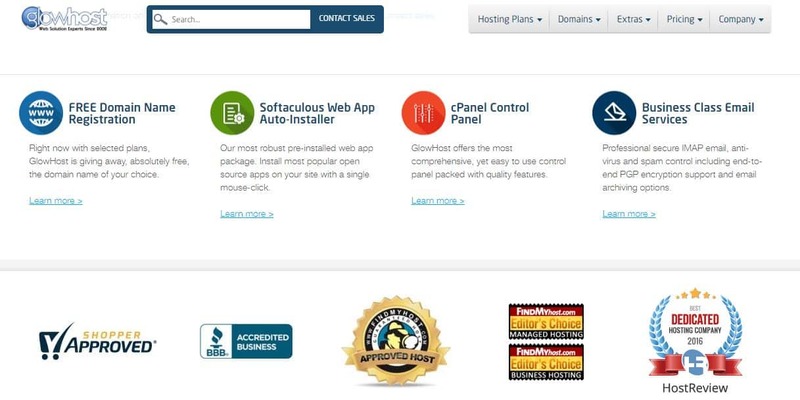 100% satisfied using Glowhost Elastic sites web hosting services! Recommended host! GlowHost has much to offer as a web hosting provider. Although they do not have the lowest prices, they set themselves apart from the competition with their stellar support and high-quality hosting services. Shared hosting servers located only in the U.S. Wondering how GlowHost stacks up against other Web Hosting companies? Enter any other Web Hosting company and we will give you a side-by-side comparison.